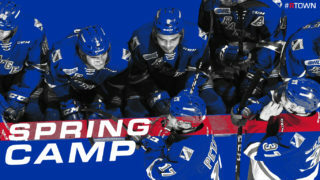 The Kitchener Rangers selected five players in the Ontario Hockey League’s inaugural Under-18 Priority Selection on Wednesday evening. Wednesday’s Under-18 Priority Selection consisted of four rounds, each following the order of the first round of the 2017 OHL Priority Selection. To enhance opportunities specifically for goaltenders, any OHL Member Team that selected a goaltender was given the option to select another player (skater only). 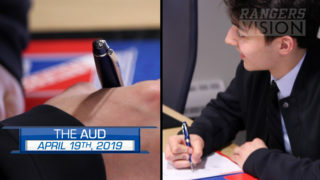 An additional round was added to facilitate the drafting of any additional skaters utilizing the same selection order and process. 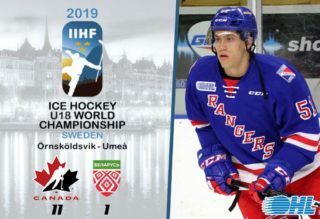 Canadian and American players from OHL territory states competing for OHF, HEO and HNO U18 and Midget AAA teams were eligible for the inaugural draft. 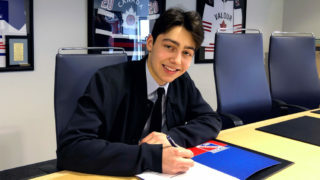 Once selected, players were added to a four man U-18 Priority Selection protected list, distinct from the 50-man protected list for players selected in the OHL Priority Selection or committing to OHL member teams as free agents. For complete details on players selected in both the 2017 OHL Priority Selection and U-18 Priority Selection, click here.